Greetings friends and fellow crafters. 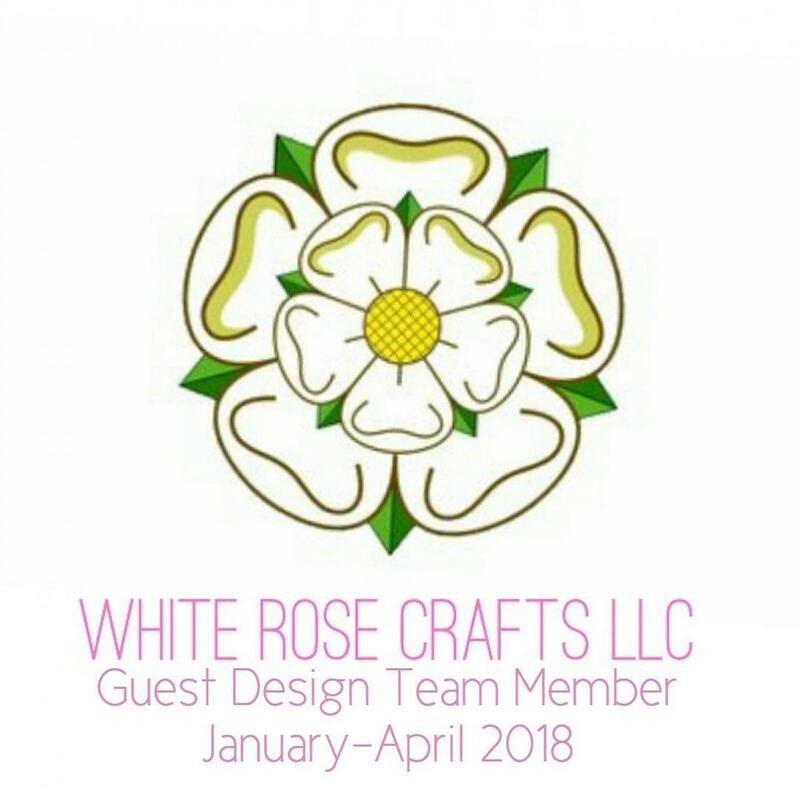 LeeAnn here representing White Rose Crafts. 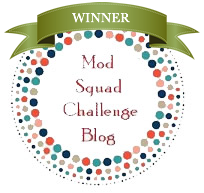 With the start of the "Rainbow" Mod Squad Challenge, and White Rose Crafts being a new sponsor, I wanted to jump in and take part with my project. I will have a process video up this weekend, as I have to edit it. However the steps taken were. 1. Picked Raspberry, Spiced Marmalade, Fossilized Amber, Cracked Pistachio, Salty Ocean and Wilted Violet I blended them on a piece of Tim Holtz Distress Watercolor paper using Ranger Mini Ink Blending Tools. I then used Distress Spritzer to add water. Tapped it with a paper towel and my main panel was ready. 2. 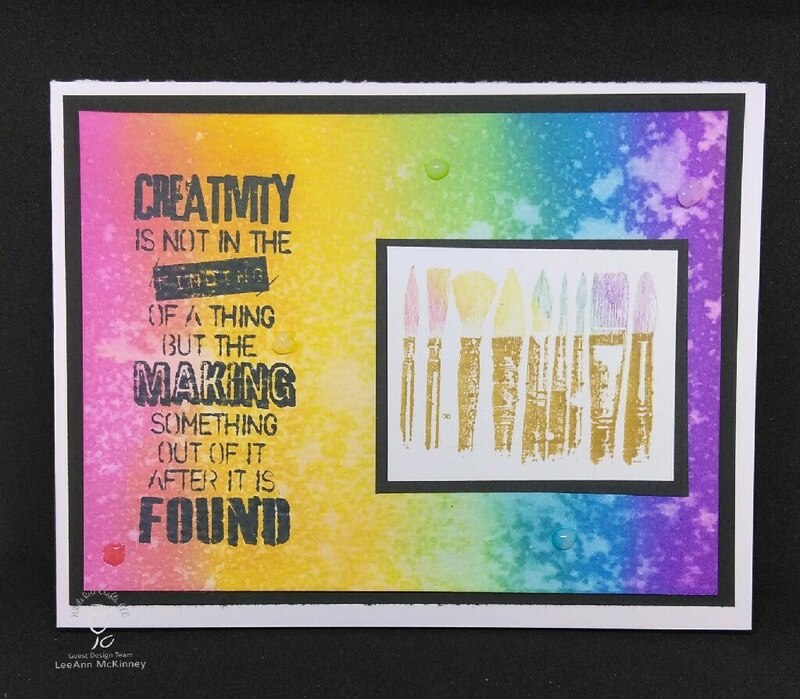 Using my Tim Holtz stamp platform, and "Random Thoughts" stamp set I stamped the sentiment on the rainbow panel with Memento Tuxedo Black ink. 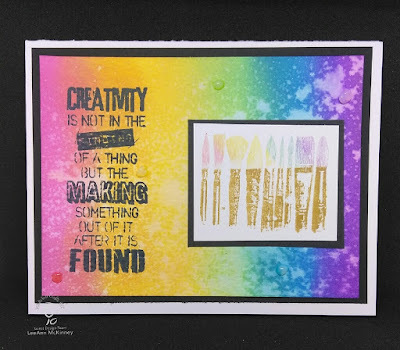 I then stamped the brush handles with GinaK Honey Mustard, and the brush tips with the blender pads to make the rainbow. After cutting the panel to size, I adhered to a black panel. 3. I then adhered the panels to my card base using Nuvo liquid adhesive. 5. A few Nuvo Jewel Drops (Strawberry Coulis, Limoncello, Key Lime, Sea Breeze, and Pale Periwinkle) around the panel finished off my card. Please make sure you visit White Rose Crafts for your crafting needs/wants.